What Kind of Cleaning Services Can You Choose? 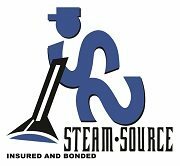 Give us a call at Steam Source and mention this offer! That’s all you have to do to take $10 off if you’re a new customer! * We look forward to hearing from you! *Cannot be combined with any other offers or promotions. New customers only. Please mention this special offer when you book your appointment. Cannot be applied to past transactions.